This extremely unique quiver is made of suede and features a contrasting color with a cutout design sewn on top of the body of the quiver. 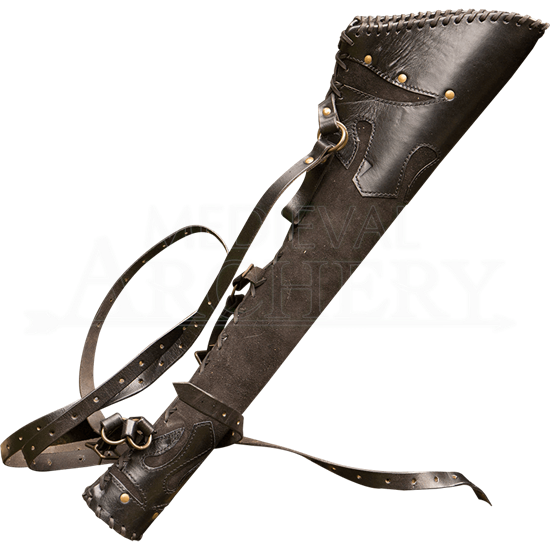 This back quiver has a harness system to keep it secure, which includes a strap to go around your upper chest and your waist. 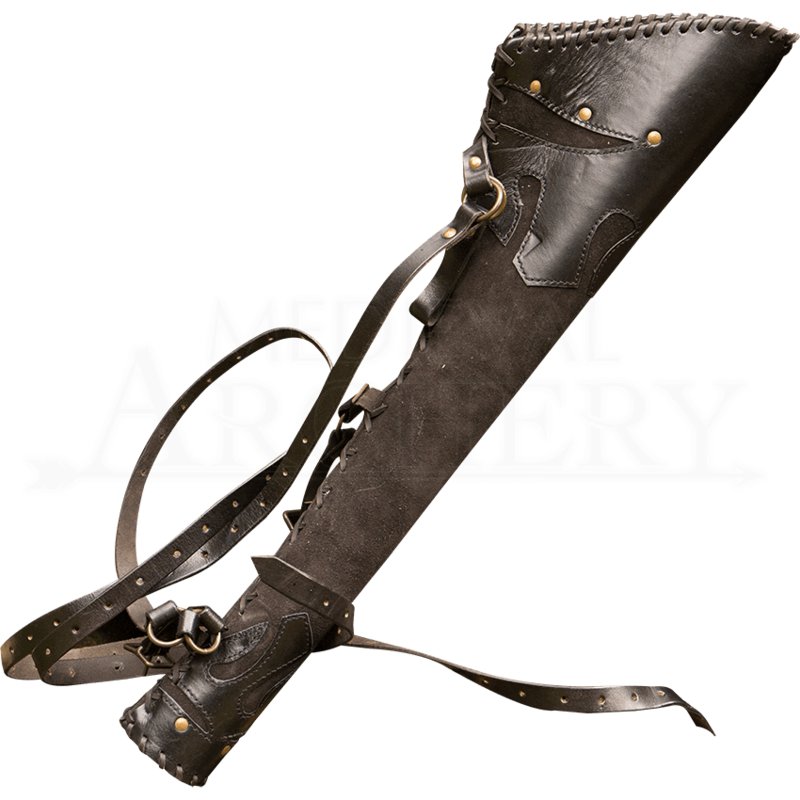 This hunters leather quiver can be used with traditional style arrows and LARP arrows. It will hold one dozen traditional style arrows or 8 to 10 LARP arrows. Beautifully made! Exceptional quality! Price can't be beat! Very happy with this item! I bought it to use at a LARP that does not use arrows and it worked wonderfully. The straps made it so I could sling it over my shoulder or attach to my belt.